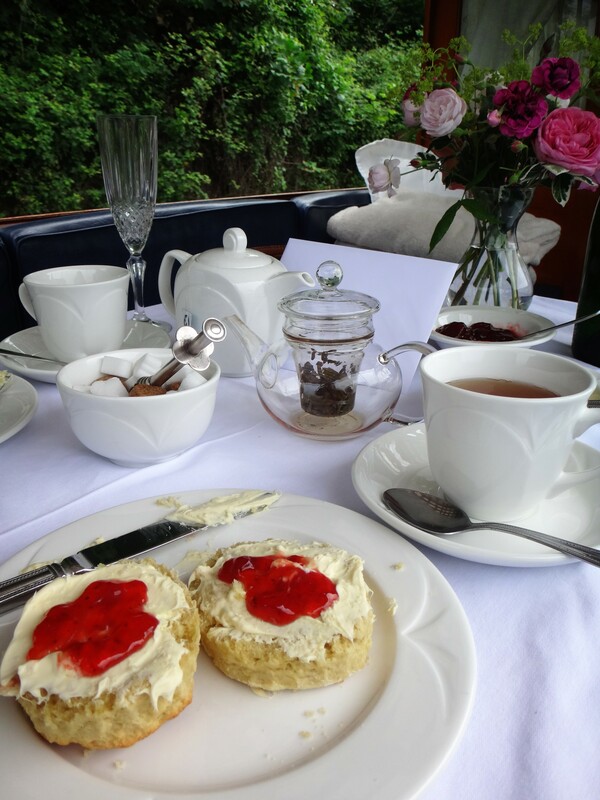 We took a very scenic train ride through the countryside from London to Bath. In just an hour and half we went from a gigantic city to a picturesque Georgian town located in a river valley with many natural hot springs. 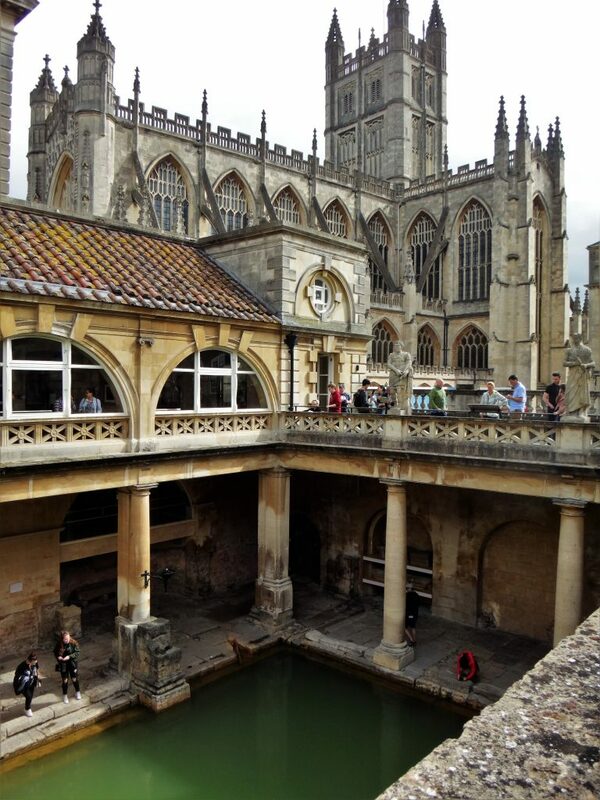 The town is well known for its Roman baths which date back to 60 AD and for its popularity as a spa town and center for wealthy socialites during the Georgian era. Driving on the wrong side of the road in the right side of the car! 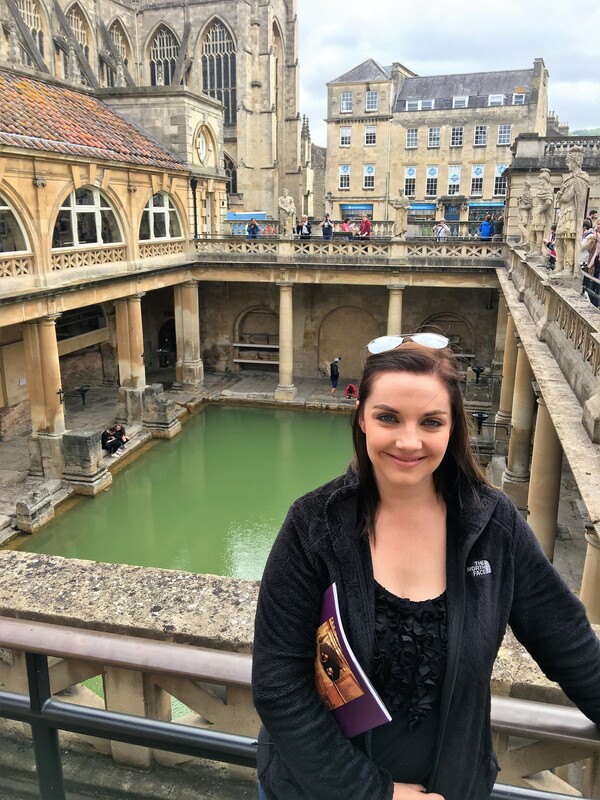 We pre-booked a rental car through Europcar. Car rentals come standard with manual transmission. You’ll have to fork out quite a bit extra for an automatic. 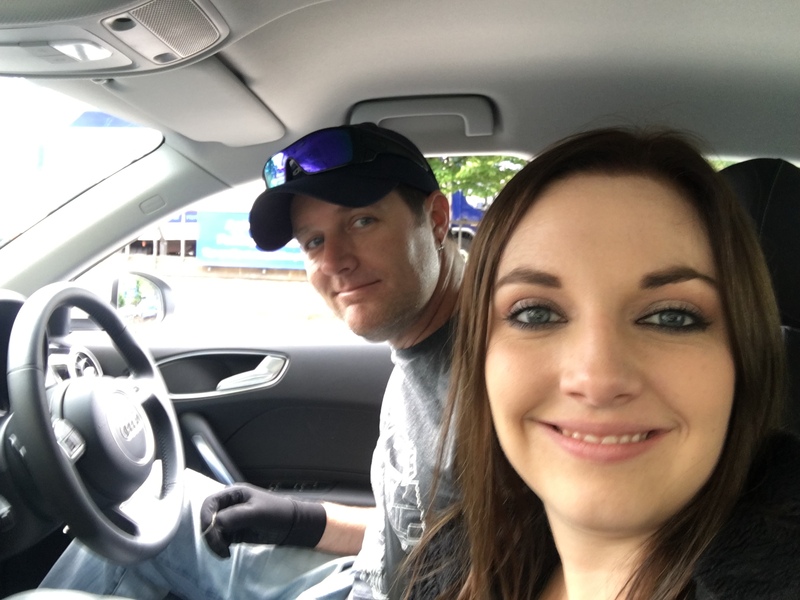 Both Brian and I are very experienced driving manual cars, however we didn’t want to deal with the added stresses of being on the left side of the road, in the right side of the car, AND shifting with our opposite hand, so we opted for an automatic. Brian took the driver’s seat and we headed off to find our bed and breakfast. 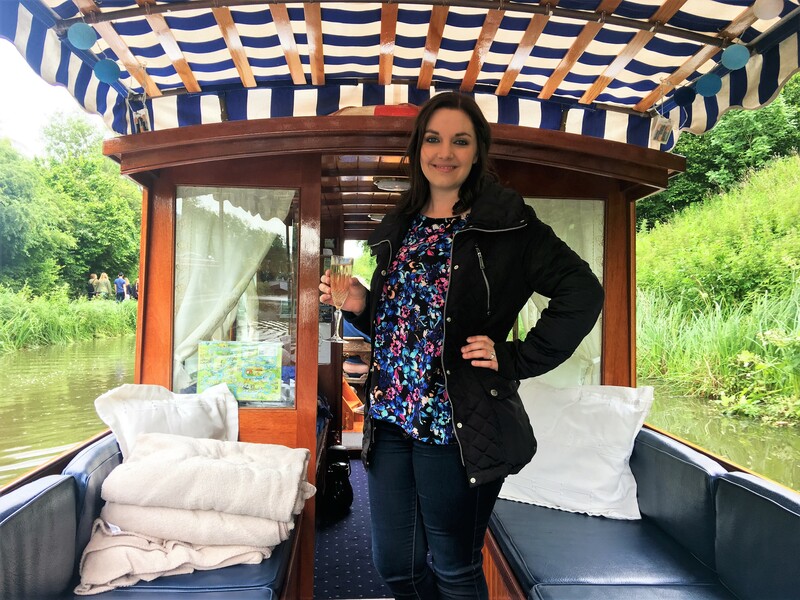 I’m not going to lie, it was quite terrifying being in the passenger seat (what would normally be the driver’s seat) with no control – I kept feeling the urge to want to break and steer. If you’ve never driven on the other side of the car/road before, I don’t recommend trying it alone! You definitely need a copilot who is responsible for directions and constantly yelling “stay left!” every 10 seconds, especially during all of the round-a-bouts. Regardless of how frightening this experience was, it was also quite fun and Brian ended up doing a great job. 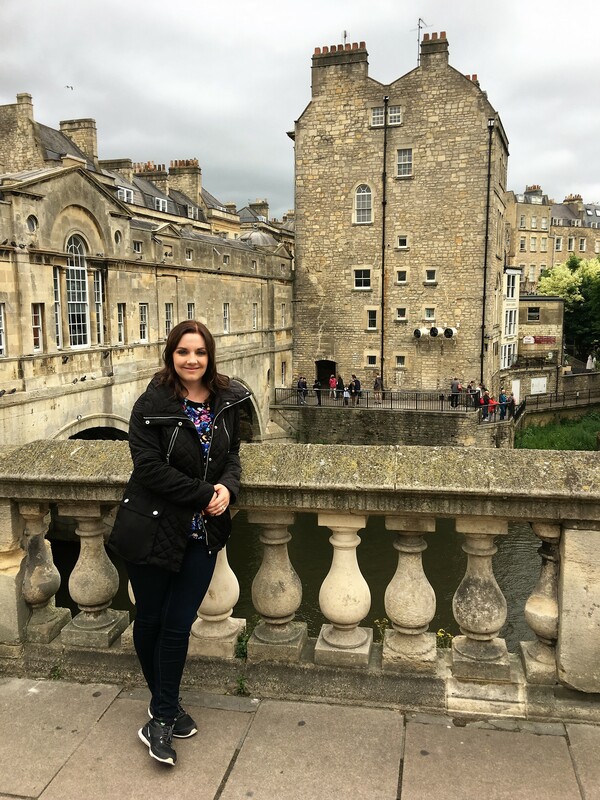 TRAVEL REVIEW: Driving a Car in England Must Do! 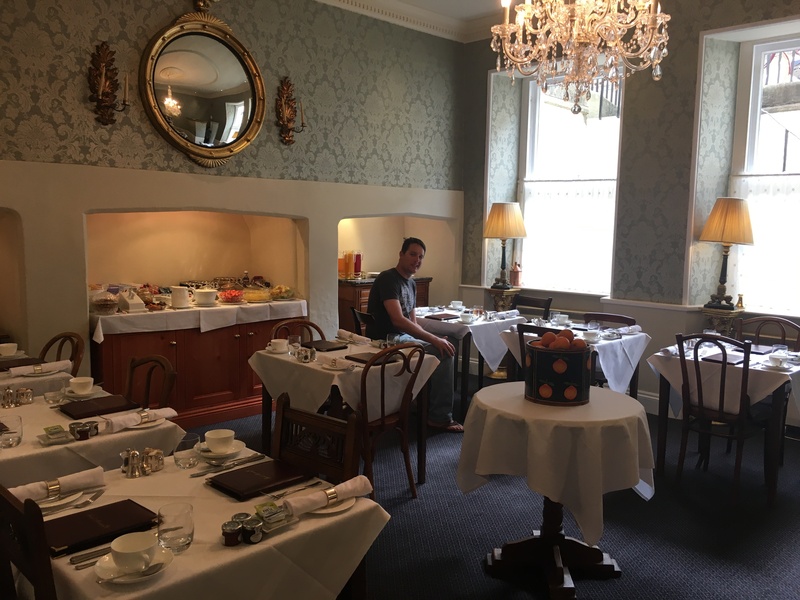 100 round-a-bouts later, we eventually made it to The Kenndard B&B, located just steps away from the heart of Bath, a UNSECO World Heritage Site. 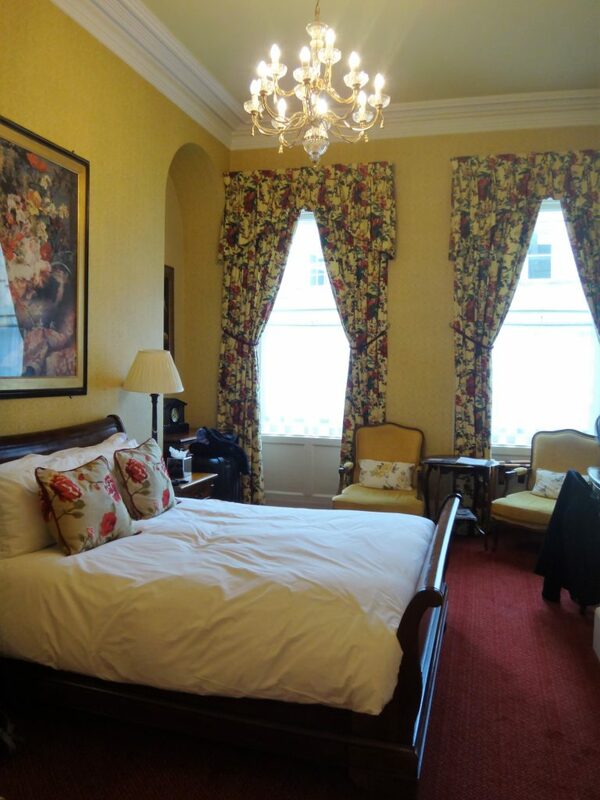 The Kennard was built in 1794 during the golden age of Bath’s Georgian era, as a lodging house to provide accommodation for those coming to spend the season in the city. 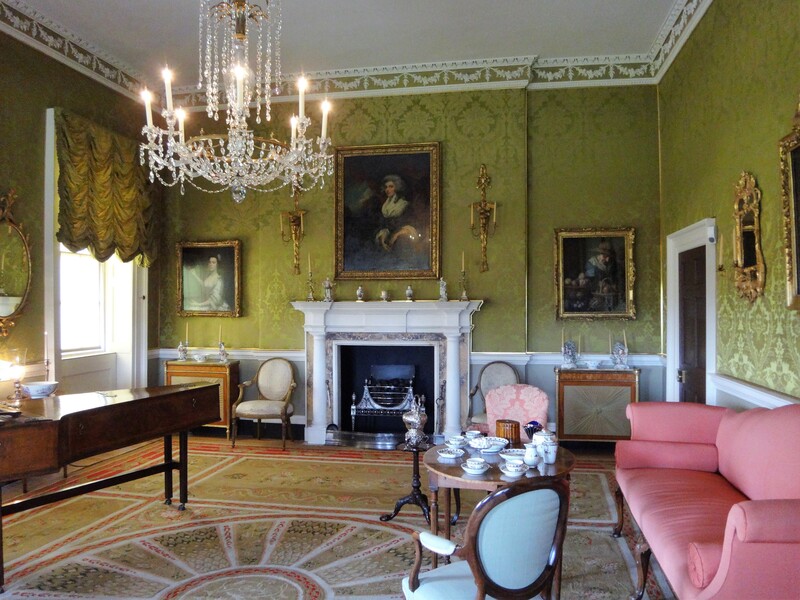 We were shown to the most elegant room, the former reception hall of the Georgian townhouse. 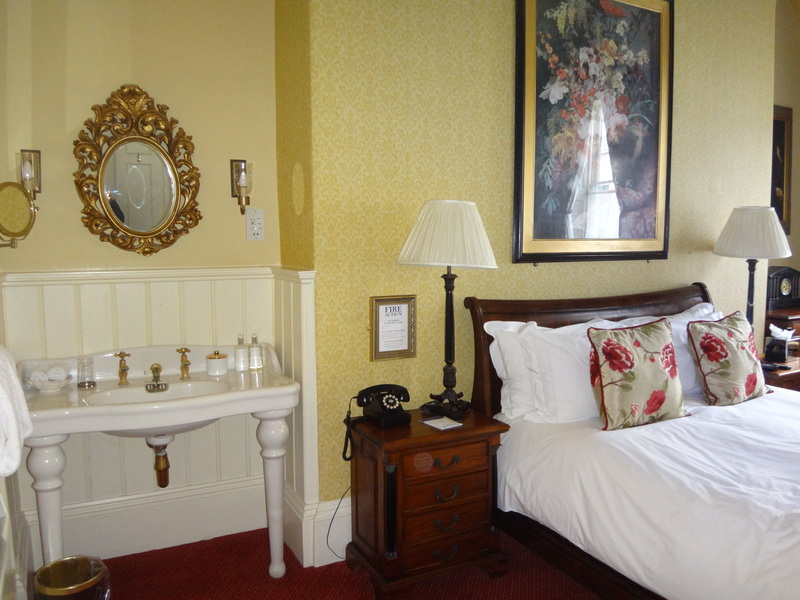 With high ceilings and period inspired décor, it truly felt like we had stepped back in time. 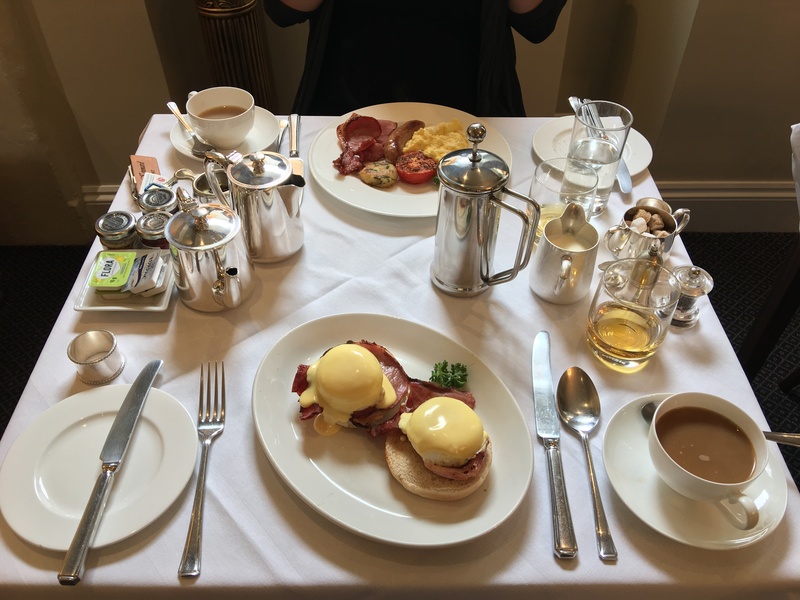 TRAVEL REVIEW: The Kennard Bed and Breakfast Trip Highlight! 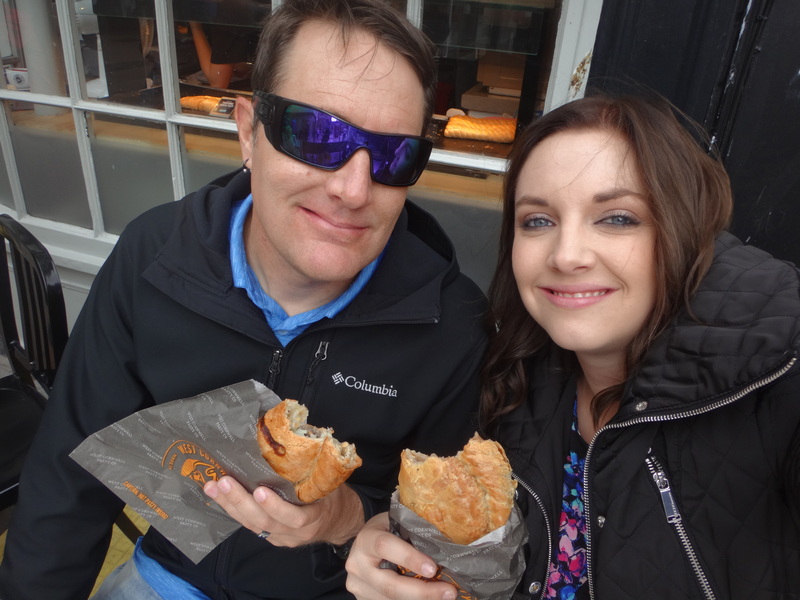 One of my all-time favorite restaurants in Phoenix is Cornish Pasty Co., so to say that I was ecstatic to have Cornish pasties in England was an understatement. 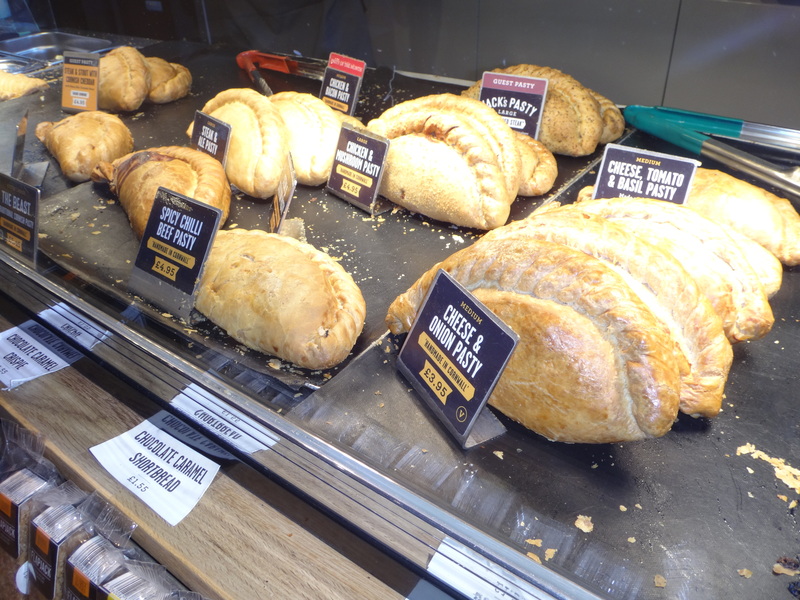 Cornish pasties are meat and cheese (and countless other ingredients) filled pastries. 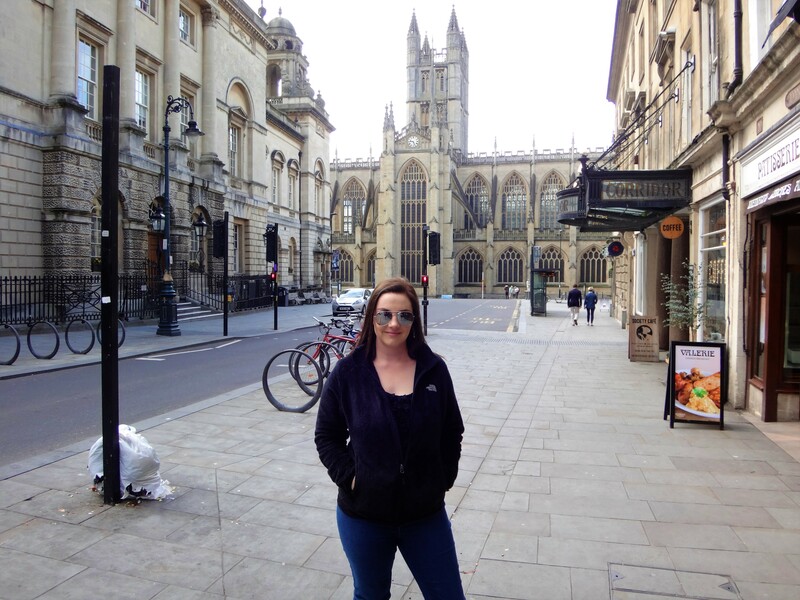 My first Cornish pasty was had in Bath while wondering around the town. It did not disappoint. 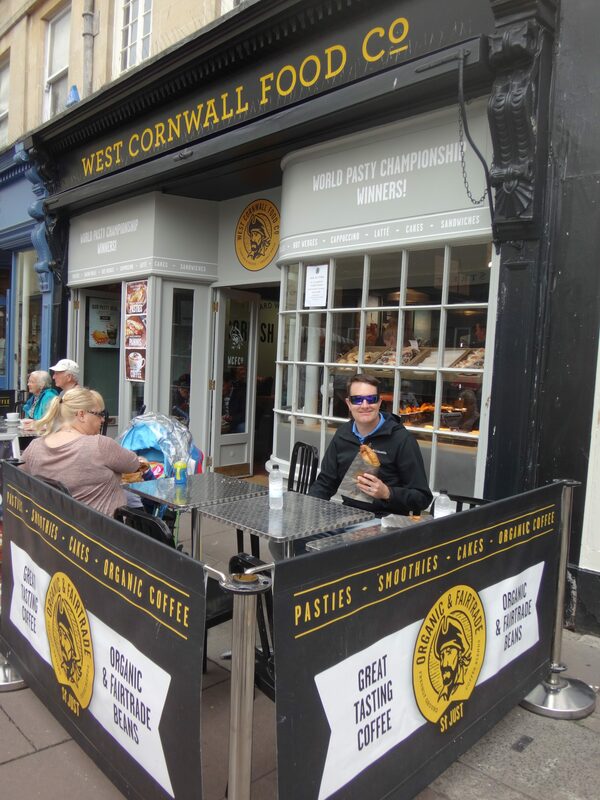 TRAVEL REVIEW: Eat a Cornish Pasty Must Do! 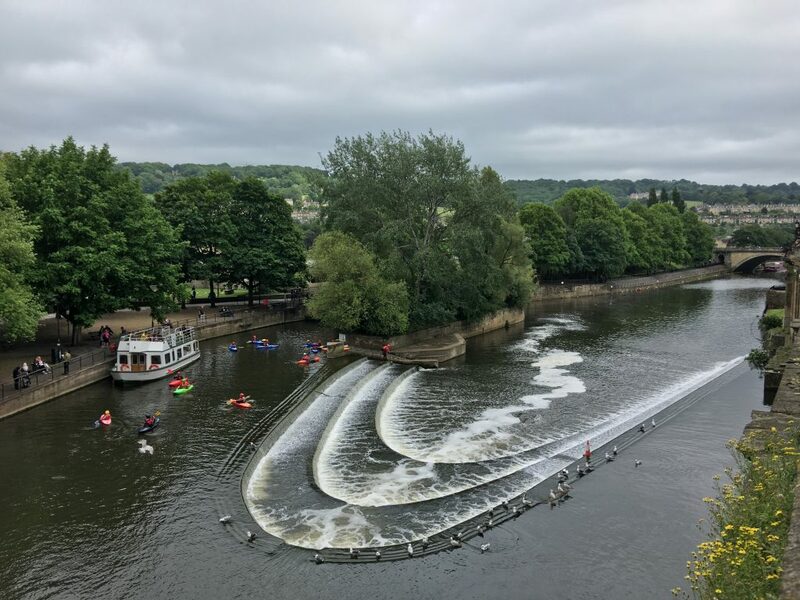 When researching things to do in Bath prior to our visit, I found out that there are many canals throughout the town and a common way to enjoy the city is to take a boat ride down the canals. This led me to The Lady Lena. 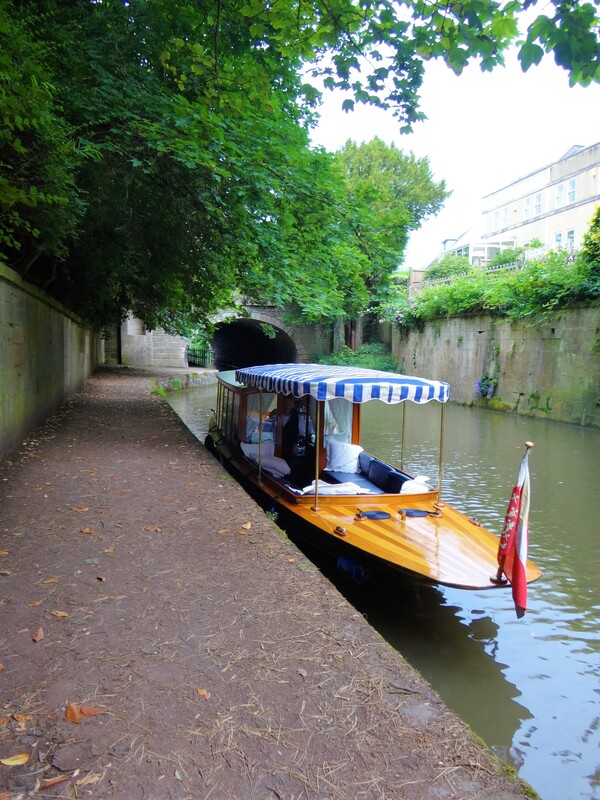 The Lady Lena is a Victorian electric launch boat that was built in 1890. 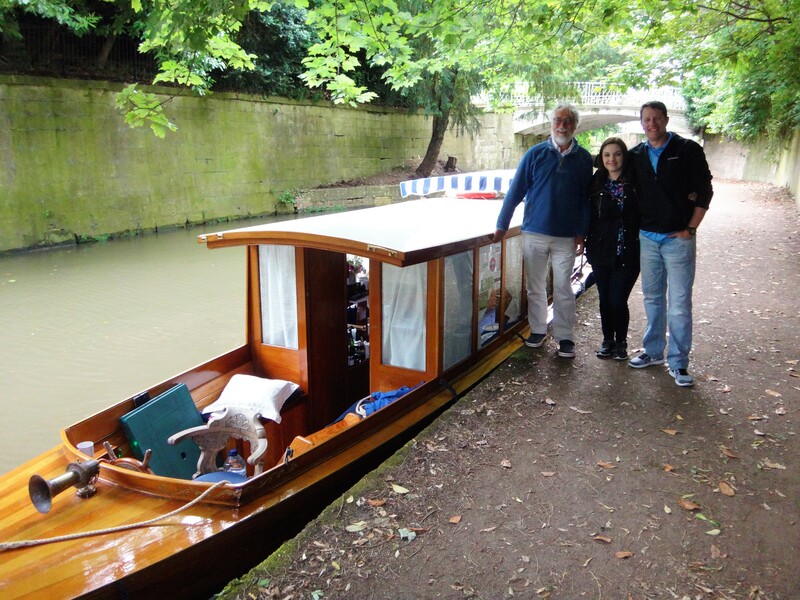 The owners, Jenks and Georgina, restored the boat and offer private charters around Bath. Jenks and Georgina were the most adorable couple and some of the friendliest people we met during our trip. 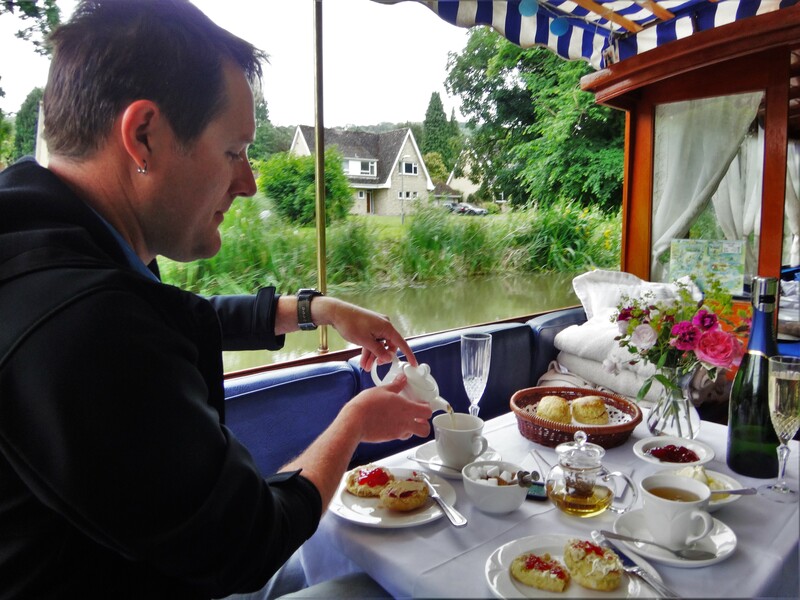 Jenks captained the boat down the Kennett and Avon Canal while Georgina served afternoon tea, pointed out sites, told the history of the boat, and fascinated us with stories. 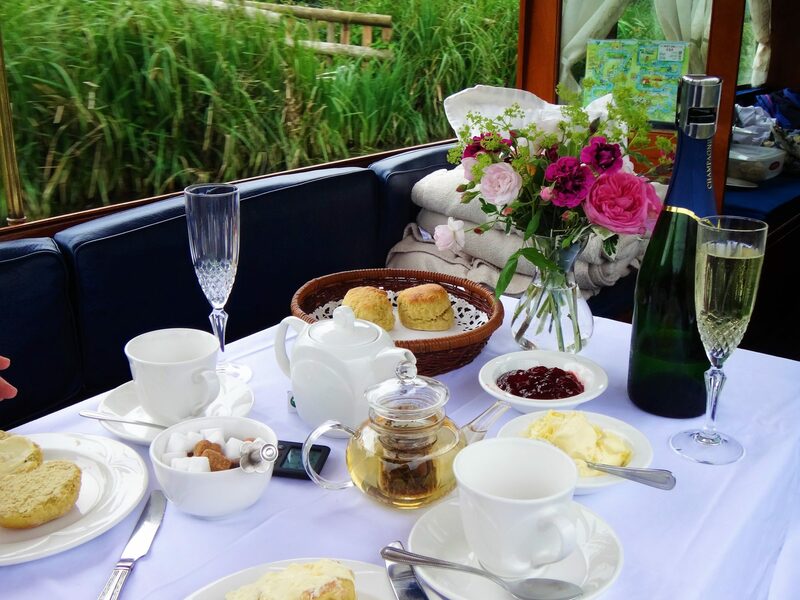 White table cloth, homemade biscuits with jam and clotted cream, Darjeeling tea, Champagne, a bouquet of flowers, the scenic landscape of Bath’s countryside, and Brian by my side – it was one of the most romantic settings! 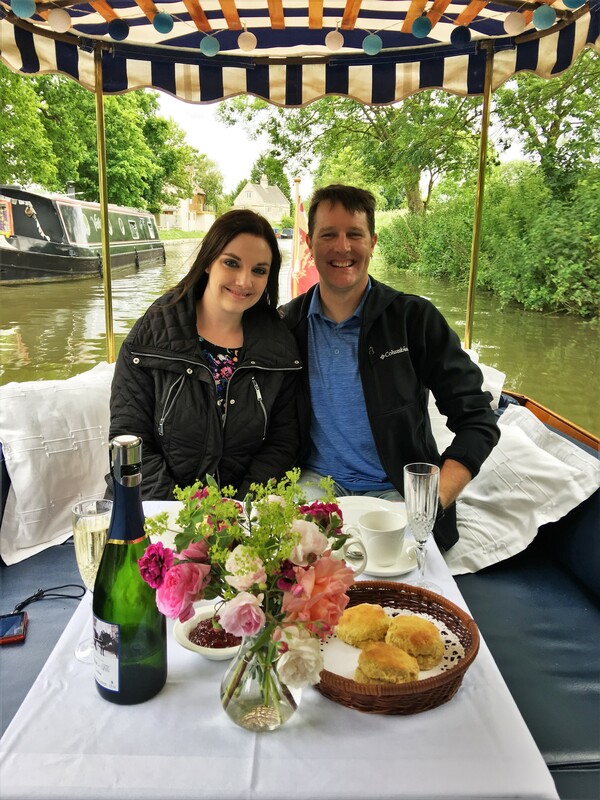 It didn’t surprise me when Georgina told me they’ve had many engagements onboard! 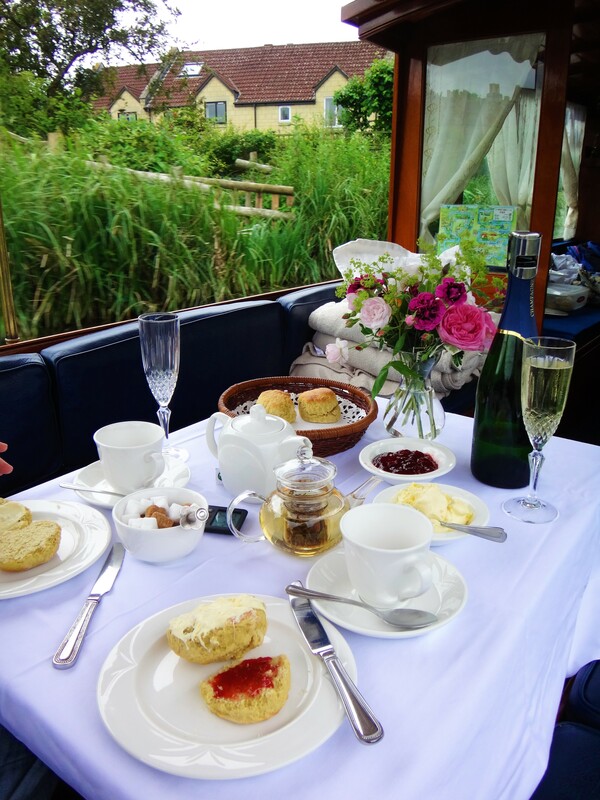 TRAVEL REVIEW: The Lady Lena Canal Cruise Trip Highlight! Three different churches have occupied this site since 757 AD. 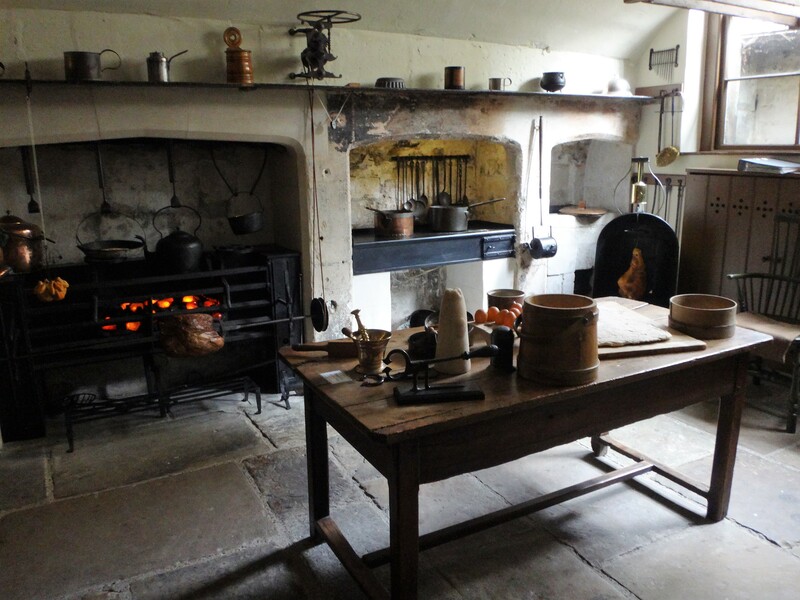 First an Anglo-Saxon monastery which was torn down by the Norman conquerors of England. Then a massive Normal cathedral built in 1090. 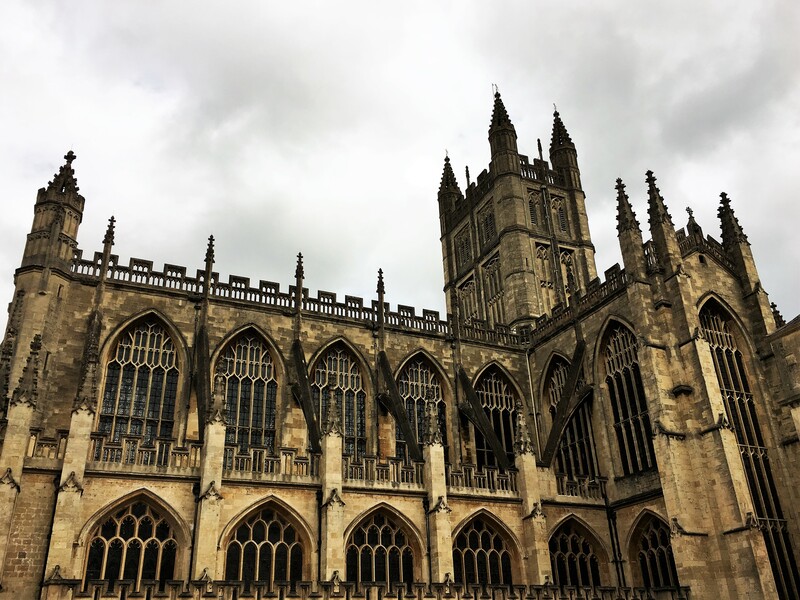 And finally, the present Abbey Church. 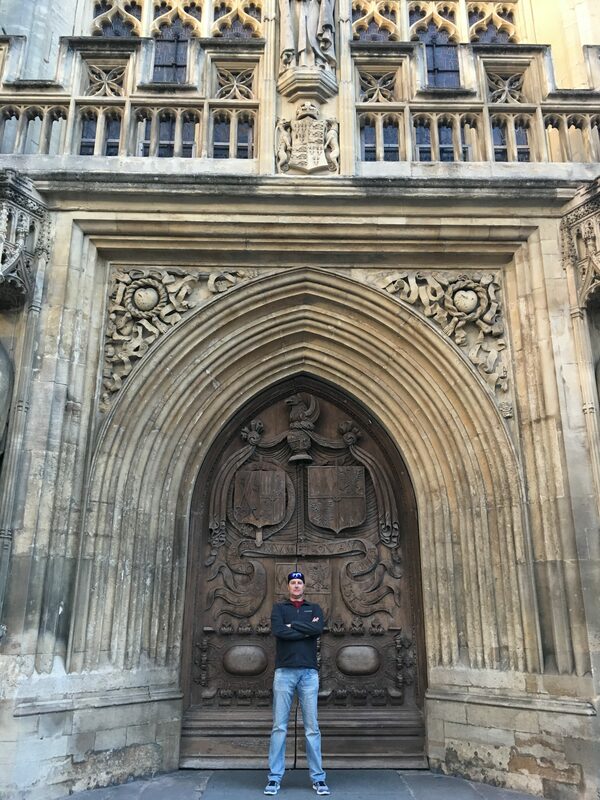 The first King of all England, King Edgar was crowned on this site in 973. 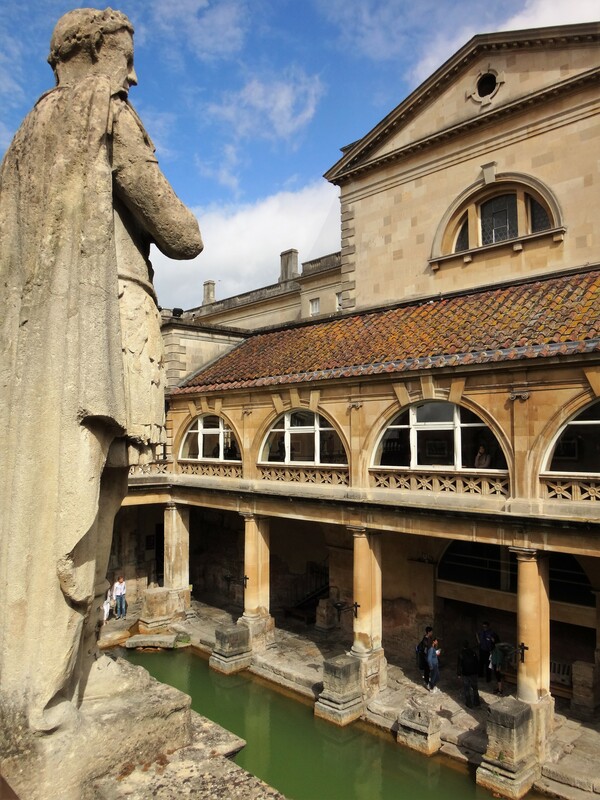 No trip to Bath would be complete without a visit to the Roman Baths! 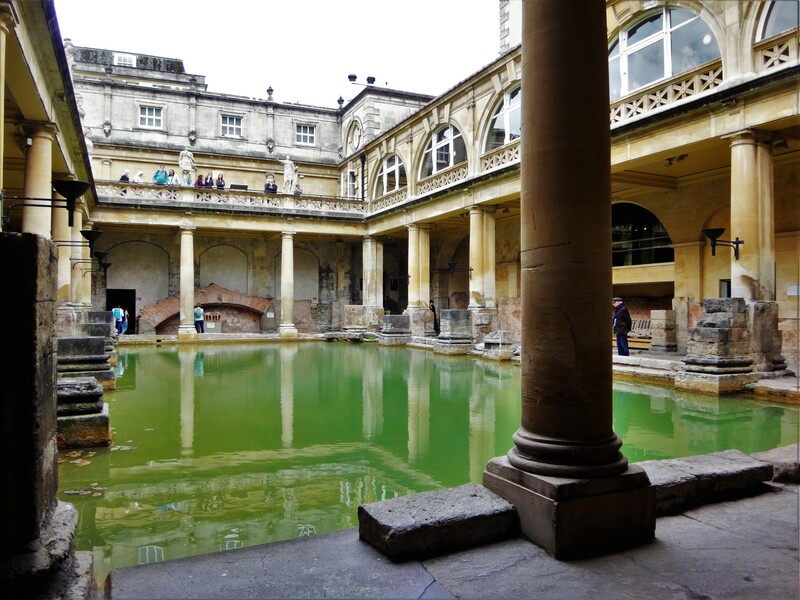 During the Roman invasion in 60-70AD, the Romans constructed a complex of bathhouses above Bath’s three natural hot springs, which emerge at a steady 115 F. Situated alongside a temple dedicated to the healing goddess Sulis-Minerva, the baths now form one of the best preserved ancient Roman spas in the world. 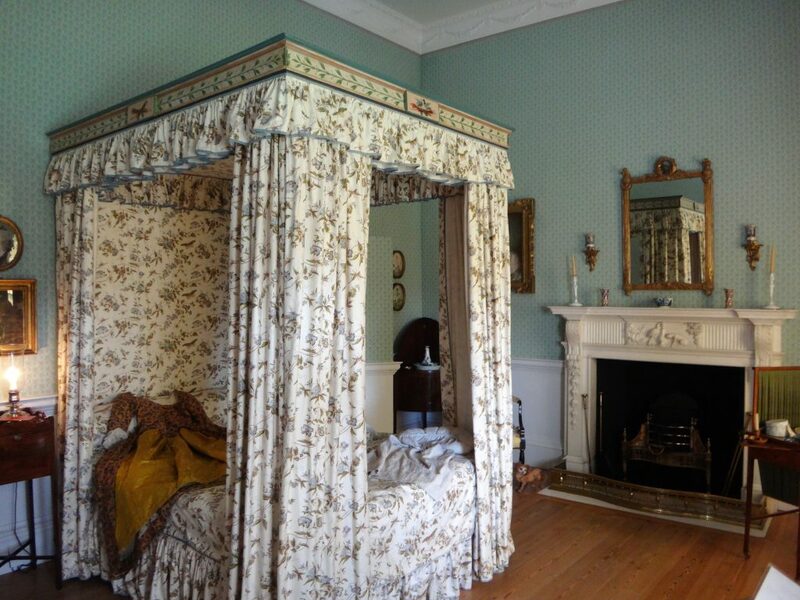 We visited on a Sunday about 2 hours before closing time, when the site was less crowded. 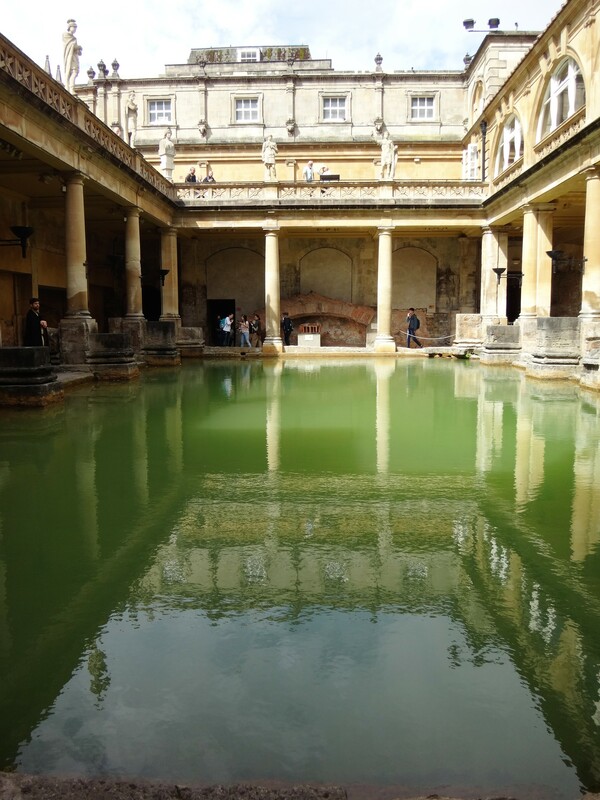 The baths were so fascinating and I pictured what life would have been like here so long ago. 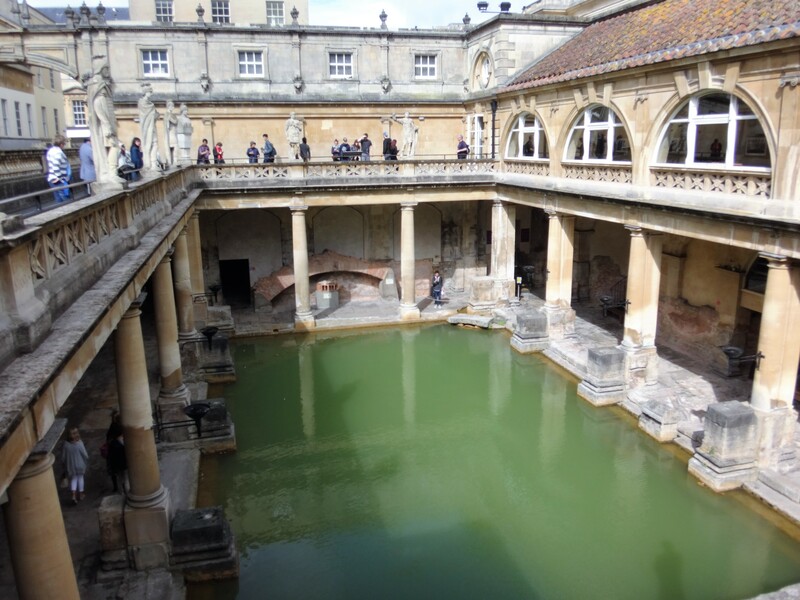 TRAVEL REVIEW: The Roman Baths Trip Highlight! 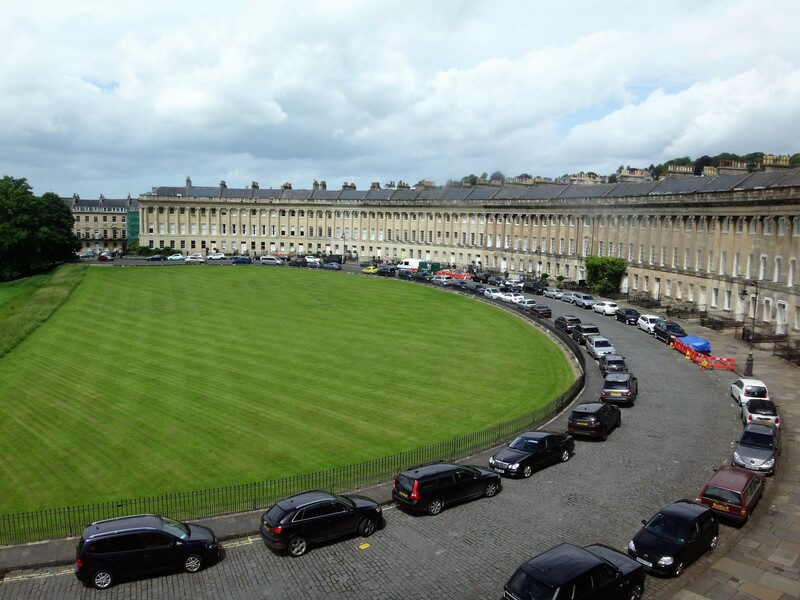 The Royal Crescent is a row of 30 terraced houses laid out in a sweeping crescent. 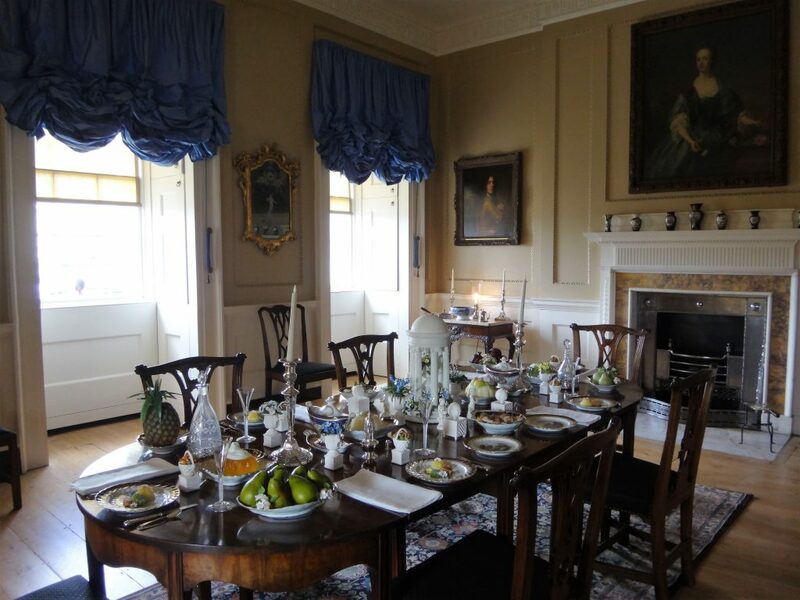 Built between 1767 and 1774, it is among the greatest examples of Georgian architecture to be found in the United Kingdom and is a Grade 1 listed building. Of the Royal Crescent’s 30 townhouses, 28 are still private town homes, one is the Royal Crescent Hotel, and one is a museum displaying authentic room sets and furniture, illustrating Georgian domestic life. 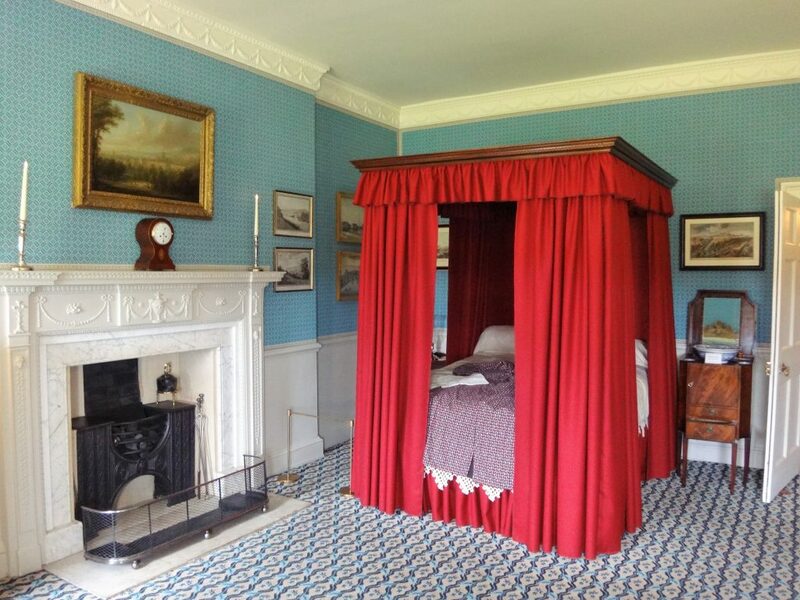 Talk about being transported back in time! TRAVEL REVIEW: Royal Crescent Museum Must Do! I grew up having dinner at my Grandma and Papa’s house every Sunday. My grandma would make a roast with all the side dishes, including my favorite – Yorkshire pudding. My cousin Shaun and I would always fight over the last piece. 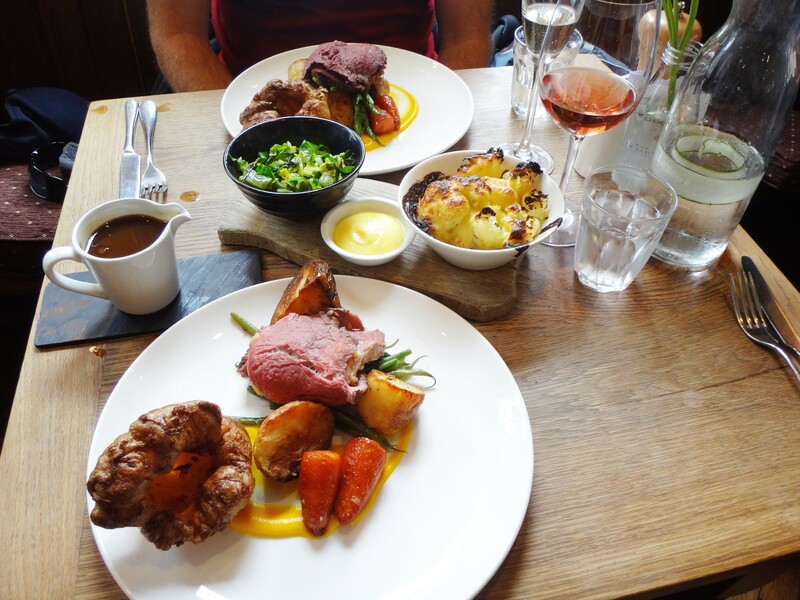 I wanted to make sure that we had at least one traditional Sunday dinner while we were in England. I did some research and found The Chequer’s, a chic gastro pub just a short walk from the Royal Crescent. 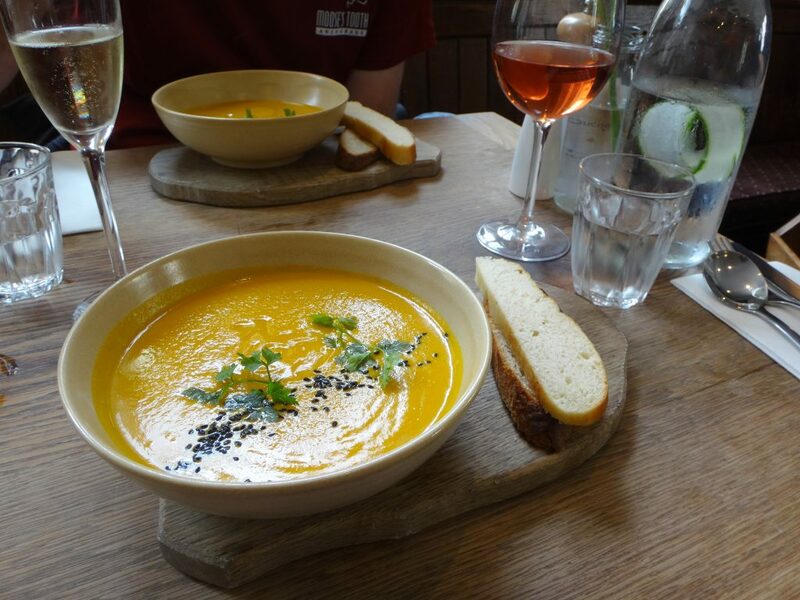 We started off with the most divine carrot and coriander soup, then a beautifully presented roast with roasted potatoes and carrots, and a big fluffy piece of Yorkshire pudding. 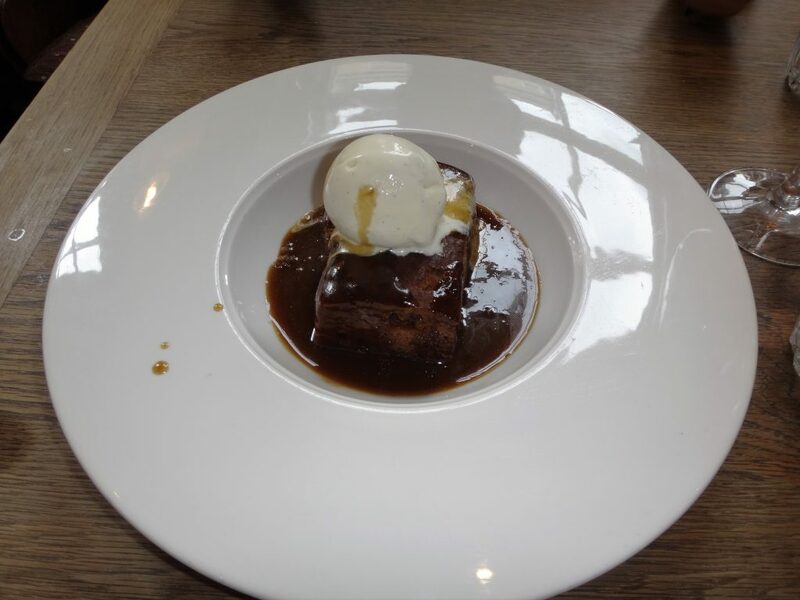 We couldn’t help ourselves, so we ordered a sticky toffee pudding for desert! 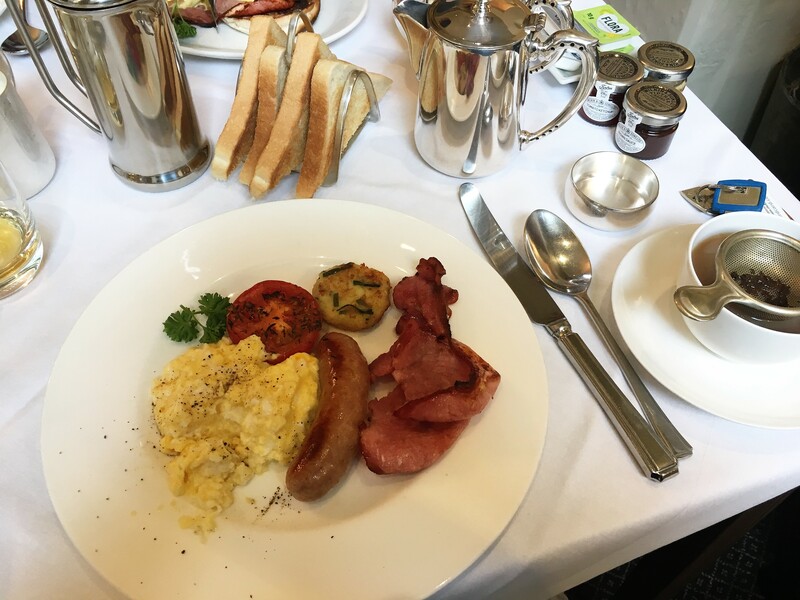 TRAVEL REVIEW: Sunday Dinner Must Do! 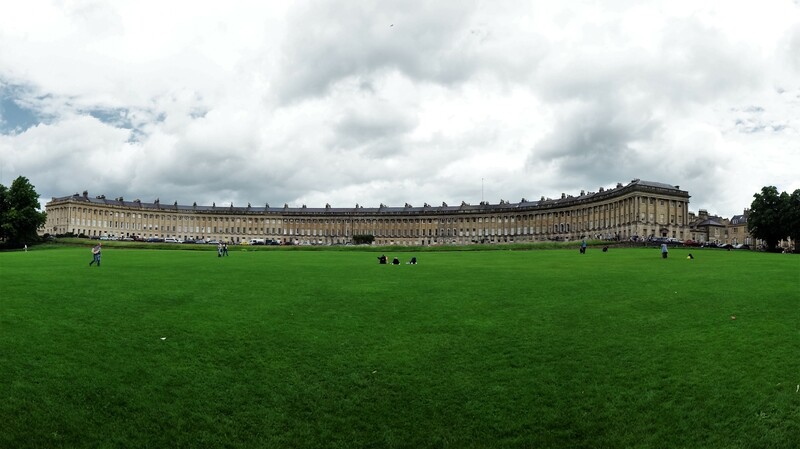 Bath is one of those places where it is so much fun to walk around, people watch, and get lost in all the little shops. I found the most amazing tea set in a store in Bath. We also stumbled into an old map shop where Brian found an original 13th century map of a village his family is form (the village of Hartshorne near the Sherwood Forrest). 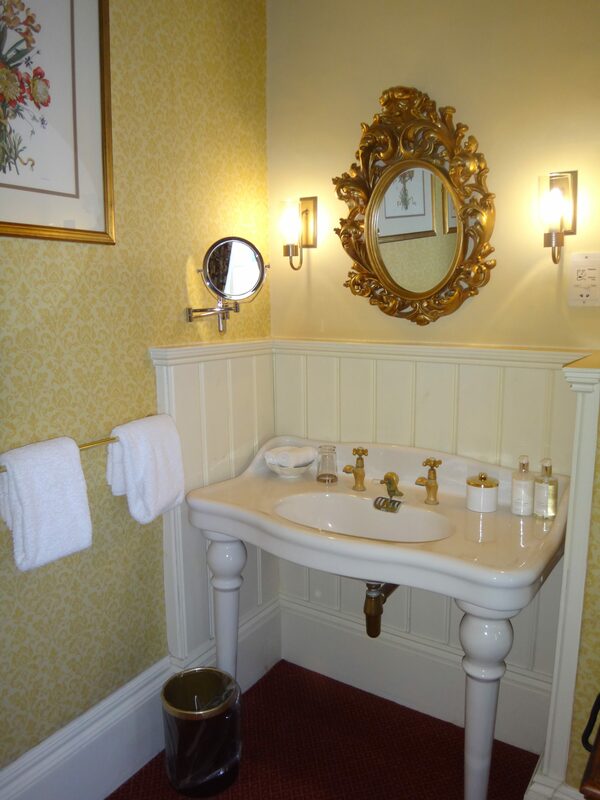 Unfortunately, we couldn’t get the map because it was a few thousand dollars! But we will be looking for a copy somewhere at a more affordable price. 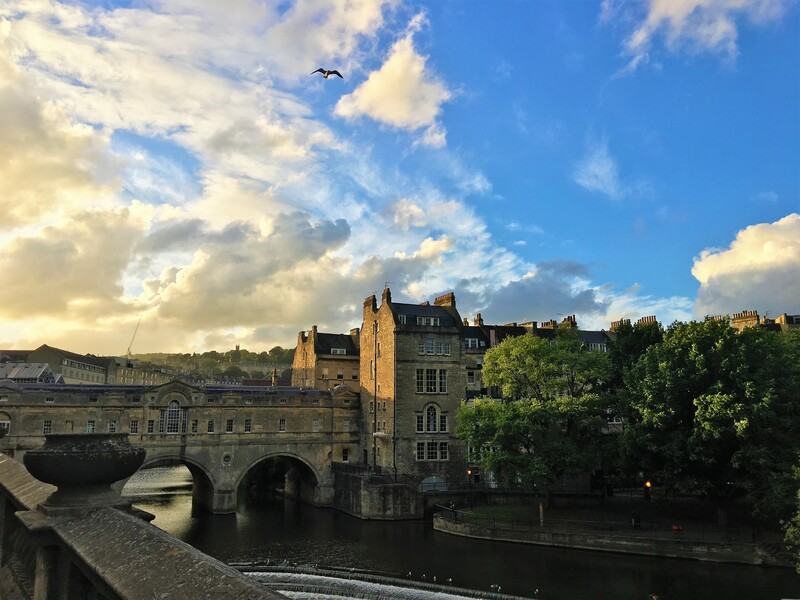 Bath also makes the perfect base for day trips to other wonderful parts of England. 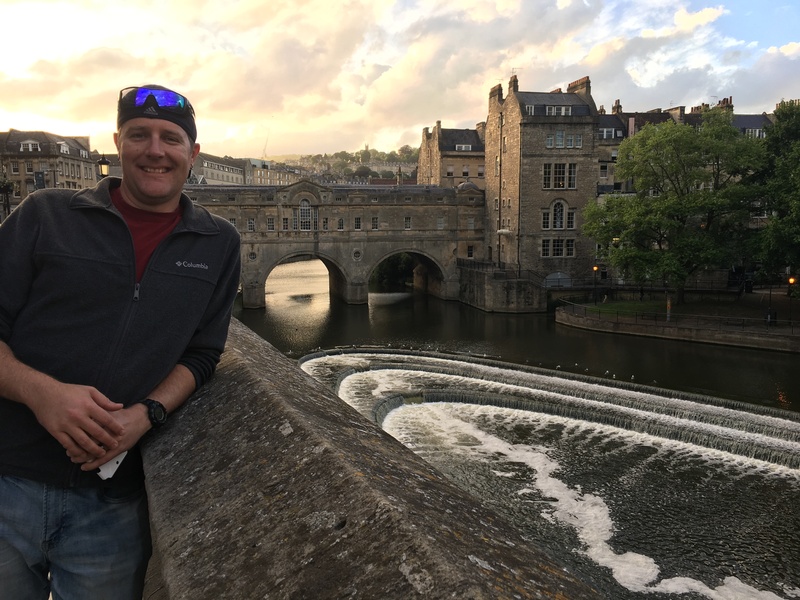 During our stay in Bath, we made a trip to Stonehenge at sunset (read about that here) and a day visit to the quintessential Cotswold English villages (read about that here). 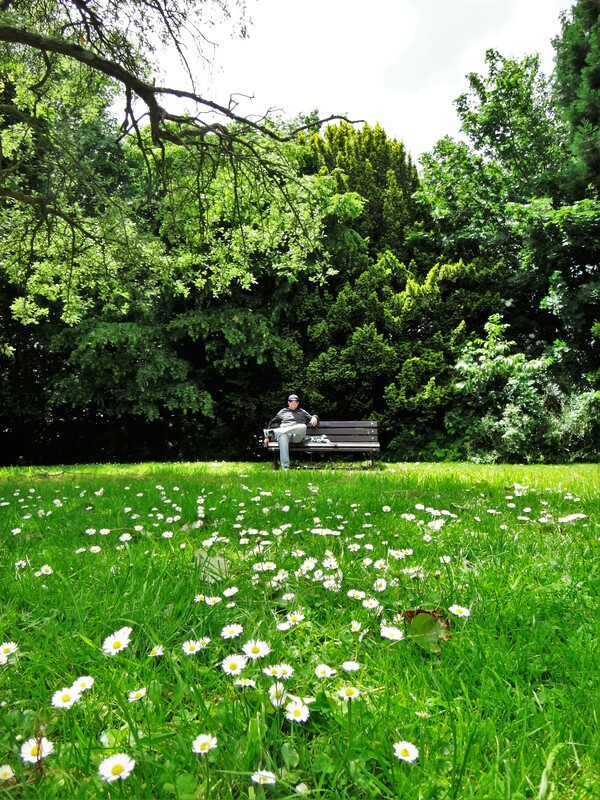 Really enjoying your fantastic blog! 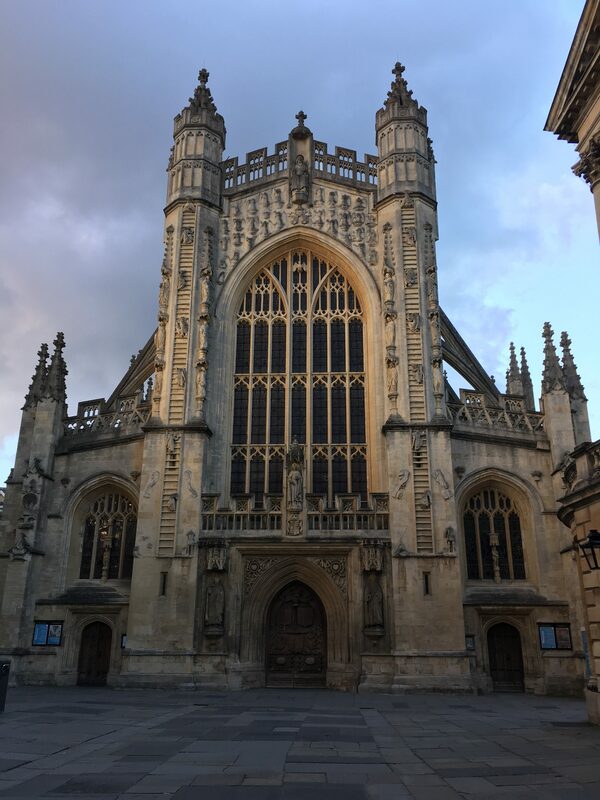 My daughter, myself, and her hubby are headed to London in early April for a week, then continuing on to Bath and the Cotswolds. Your great information and pictures are getting me so excited! Thank you for creating such a helpful blog.